The world’s biggest helicopter in production, the Mi-26, will return to the Russian military in its latest incarnation next year. From 2019, the military transport helicopter will be in service in an upgraded version known as T2V. Nicknamed the “Flying Cow” by pilots for its unwieldiness and giant size, the Mi-26 is being outfitted with new armor and equipment that has already been tested during military operations in Syria. The Mi-26 took to the sky for the first time in 1977 and within years had become the most powerful cargo helicopter in the world. It can carry up to 20 metric tons of cargo, or, in military terms, more than 80 paratroopers in full equipment, light armored vehicles and even other helicopters. In 2009, a Russian Mi-26 took part in an operation to rescue a US military CH-47 Chinook helicopter in Afghanistan. 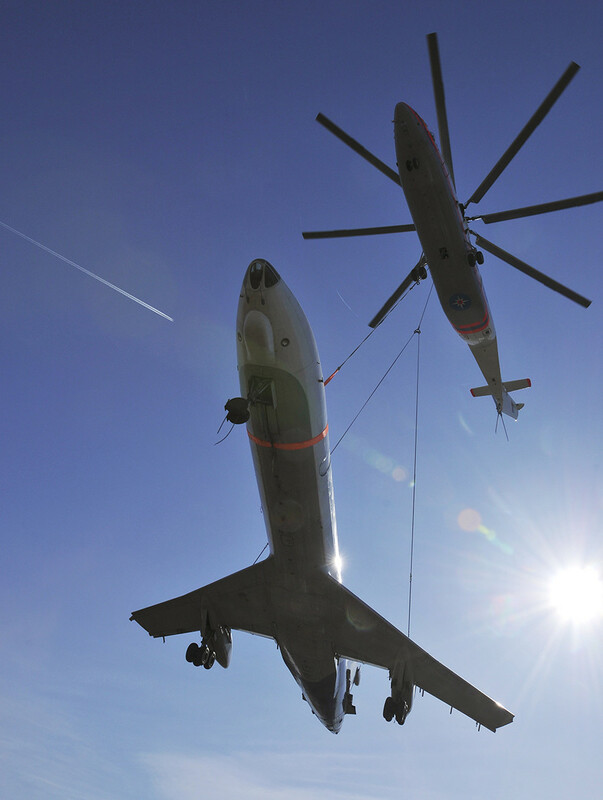 Forty years after its first flight, the Mi-26 is still the world’s heaviest-lifting cargo helicopter. However, since the onset of the Syrian campaign Russia’s Defense Ministry has tasked arms manufacturers with upgrading all of the aircraft’s specifications to respond to the demands of modern warfare. Above all, the weapons makers had to ensure the Mi-26 ran less “hot,” Kozyulin explained. “It is a giant craft with two engines with a combined capacity of about 23,000 horsepower. 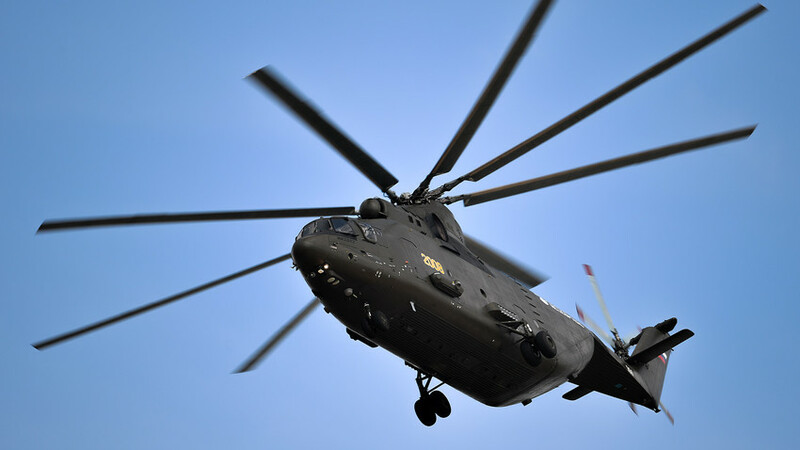 Owing to engine heat, the Mi-26 becomes target number one for portable anti-aircraft heat-seeking missile systems such as Igla or Stinger,” he said. That is how in 2002 rebels shot down a Russian Mi-26 helicopter as it attempted to land in Chechnya, according to Kozyulin. What gear will the Mi-26T2V get? According to a source in the military-industrial complex, the Mi-26T2V, like the Ka-52 attack helicopter, will be fitted with the Vitebsk system to protect it from portable anti-aircraft weapons. The helicopter’s modernization does not include weapon systems, however. Check out Russia's inflatable army of military vehicles!